A Children’s Album for Everyone! Don’t overlook this enjoyable album of original songs for children—there’s a Rockin’ Red song for everyone! Little kids will enjoy riding a train, dancing like animals, or listening to an updated version of the Itsy Bitsy Spider song. Older children will enjoy busting bubbles, dancing to a hip-hop style rap song, or moving their bodies to a groovy beat. This music is perfect for teachers as well! Why not try a new version of the alphabet song or a new birthday song to sing in class? There’s even a song to help your preschool & elementary children know when it’s time to quiet their voices. Parents will enjoy the fun, upbeat music in this album and will appreciate the lullaby when it’s time for bed. 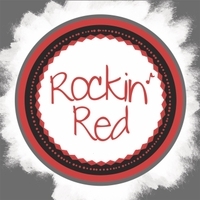 Add this Rockin' Red album to your collection today!